조국의 독립을 위해 몸바친 애국지사들의 유해를 모시는 곳이다. 원래는 효창원으로, 정조의 큰 아들인 문효세자·그의 어머니 의빈 성씨·순조의 후궁인 숙의 박씨·숙의 박씨의 자녀인 영온공주의 무덤이 있었다. 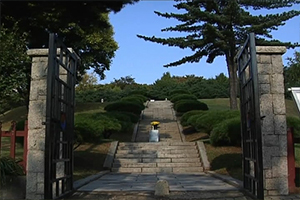 일제시대에 문효세자의 묘를 경기도 고양에 있는 서삼릉(西三陵)으로 옮기면서 효창원은 효창공원이 되었다. 광복 후에는 김구·이동녕·차이석·이봉창·윤봉길·조성환·안중근을 비롯해 나라를 위해 목숨을 바친 분들의 무덤을 모시게 되었으며, 매년 이 분들을 위한 제사를 지내고 있다. 무덤지역이 넓고 소나무숲이 울창하며, 무덤 주위로 산책로가 있다. 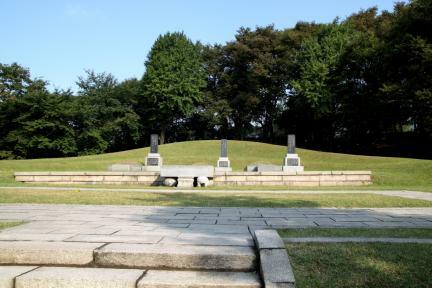 It is the place where independence activists and patriots were buried. 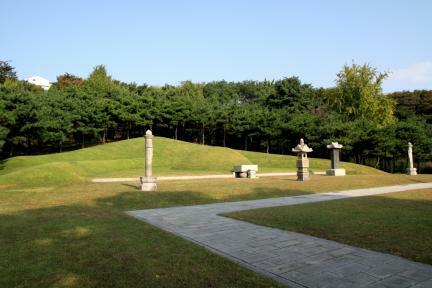 Originally, it was Hyochangwon that housed the tombs of Prince Munhyo who is the first son of King Jeongjo, his mother Uibin Seong, Sugui Park who is the royal concubine of King Sunjo, and Princess Yeongon who is the daughter of Sugui Park. 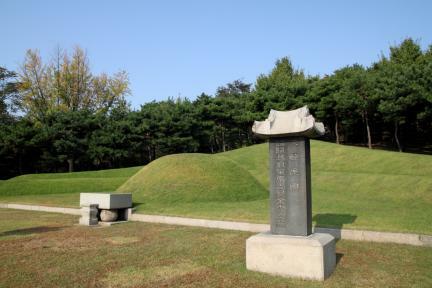 During the Japanese Occupation, the tomb of Prince Munhyo was moved to the Three West Royal Tombs located in Goyang, Gyeonggi-do, and Hyochangwon was renamed Hyochang Park. 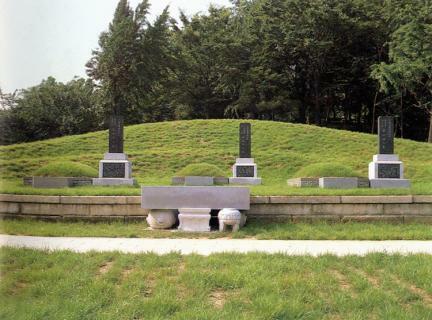 After the Liberation of Korea, the tombs of patriots including Kim Gu, Yi Dong-nyeong, Cha Yi-seok, Yi Bong-chang, Yun Bong-gil, Jo Seong-hwan, An Jung-geun, etc., who died for national independence were buried here, and a memorial service is annually held for them. 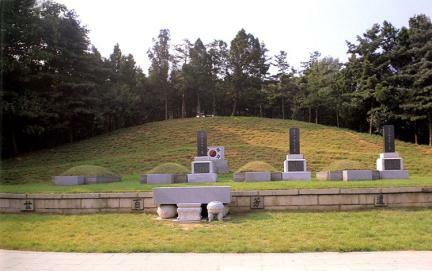 The graveyard here is large with a thick pine forest and a promenade around the tomb. 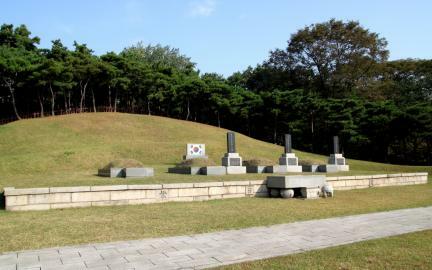 In the neighborhood are Hyochang Children’s Park and Hyochang Stadium.